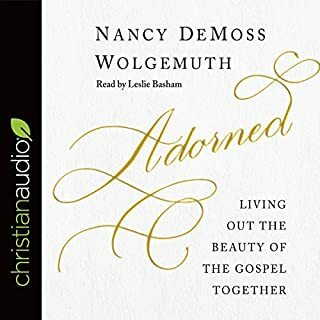 Known for her wisdom, warmth, and knowledge of scripture, Nancy DeMoss Wolgemuth has encouraged millions through her books, radio programs, and conferences. 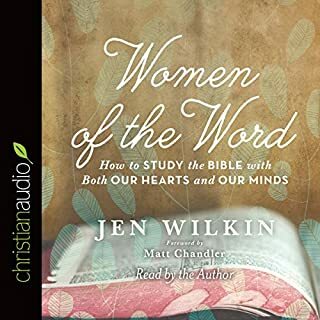 Now she's back with a legacy work on Titus 2 and its powerful vision for women. The prayer that Jesus gave his disciples as a model, commonly called "The Lord's Prayer", asks that God forgive us as we forgive others. That's a really scary thought! God forgiving us as we do? 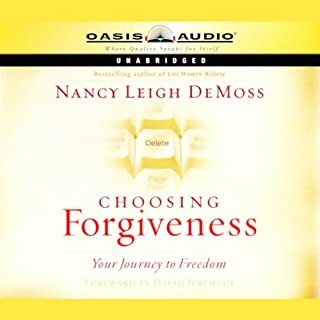 Nancy Leigh DeMoss explains how forgiving like God is a choice that frees us from the burdens of bitterness, anger, and isolation. If you struggle with long-held hurts, God's truth and Nancy's wisdom offer help and healing for you. Struggling with stubborn habits? Secret sin? Spiritual strongholds? The key isn't how committed you are to the battle - it's how surrendered you are to God. This truth can be your breakthrough, the first step toward a deeper, richer, victorious spiritual life. 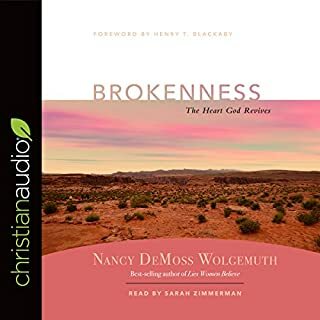 With her compelling mix of profound biblical insight and personal example, Nancy Leigh DeMoss reveals why it is only when you surrender your heart, your soul, your body, your ambitions - everything - to God that he can fully help you triumph. This is TRUE WOMEN'S liberation! Many young women have been lied to. Through a nationwide survey and in-depth discussion groups, Nancy and Dannah have listened carefully to the heart of the younger generation, and they felt compelled to write this book. In it, Nancy and Dannah expose the 25 lies young women most commonly believe. You are being hunted. Like a seasoned angler, our enemy opens his tackle box and selects the lure most likely to attract his intended prey - usually the one you and I are least likely to consider harmful. Each lie we bite on causes us to feel pain, lose or injure relationships, and miss out on the abundant life God wants us to have. 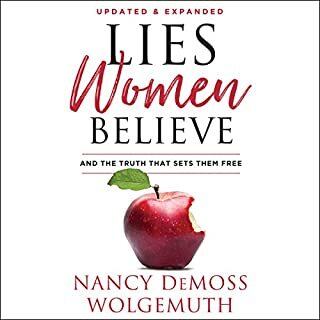 Lies Men Believe exposes the lies men most commonly believe and shows you how to combat those lies with the truth. How important is holiness to you? How much thought, attention, and effort do you devote to the pursuit of holiness? Is it your priority and mission to be holy? Nancy Leigh DeMoss teaches that we must make it our constant, conscious ambition to be holy. Just as an athlete sets his sight on winning an Olympic gold medal, so we as believers must focus on the pursuit of holiness. And the reward that awaits us brings a depth of joy that far outweighs a fading gold medal; it is the humble pleasure of hearing the father say, "Well done, good and faithful servant." And when we do choose a lifestyle of heartfelt, humble gratitude, we are mindful of the benefits received from our gracious Savior and those He has placed around us. 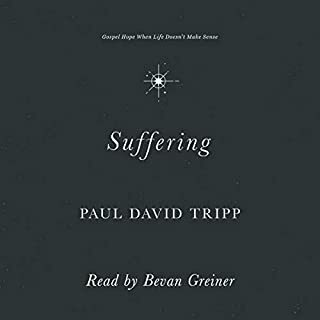 By intentionally thanking God and others, bitterness and entitlement are replaced with joy and the humble realization of just how undeserving we really are. I thoroughly enjoyed this book even though it thoroughly convicted me about my limited gratitude for all that God has done for me. I've always looked for the good in any situation, even those that are devastating because God says "all things work for good for them that love The Lord". I find myself usually thanking him for things like keeping power in a storm, good medical reports, and other daily things. BUT, do I often find myself thanking God for ALL the things in my life? More importantly, do I often find myself thanking God FOR MY LIFe---for all that he has done to purchase my eternal life through his love and sacrifice for me? There is a pretty thorough, and interesting description of everything that God has done for us, with practical and personal examples from the author's life and the lives of others. The book ends with a thirty day CHALLANGE, including Bible references to read, questions, and journaling suggestions. Wonderful read for everyone. Showing too, that a life of gratitude is a healthier, more joyful life than a life of whining, complaining, or depression. This was such a good reminder of everything we have to be thankful for that many people in this world do not have. If you feel like everything’s going wrong, this book will help your mind focus back on the good things. This is an excellent book on a topic that effects us all. Very convicting but highly recommend to others to read. 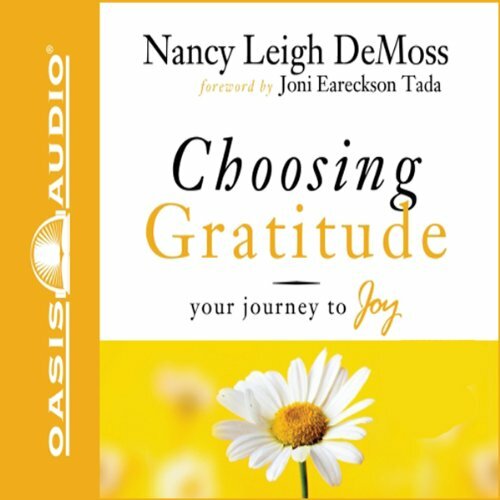 Nancy Leigh DeMoss does a masterful job of communicating the many facets of the jewel we call gratitude. Life changing. We grossly underestimate the power, reaches and influence of our hearts attitude, gratitude being a powerful one. We either extend and attract positive or negative energetic vibrations that are very real and powerful. The spirit of gratitude is one that is there for the taking; there for the choosing. It enriches both the giver and the receiver. Would you listen to Choosing Gratitude again? Why? ABSOLUTELY! As in, once or twice a year! It's SO easy to get caught up in our negative society. Talking with friends really is just griping or gossiping anymore. News is gossip or depressing. Everything around us just shows us the horrible, depressing world we live in. But this book is a great reminder that, no, it ISN'T all that bad, and we have much for which we should be grateful. It's like a friendly, loving, spiritual slap in the face. HEY! Snap out of your crank mood, you! Look at everything you should be grateful for! and then you're like... "oh yeah!" What does Christian Taylor bring to the story that you wouldn’t experience if you just read the book? The reader has a little Southern twang (not that that's bad), and she does a great job of reading the book in a natural way, almost as if the author was in your kitchen, telling you what she's written over a cup of tea. What did you learn from Choosing Gratitude that you would use in your daily life? I look forward to using the accompanying PDF to practice the 30-day gratitude challenge. This book is a Christian look at Gratitude.